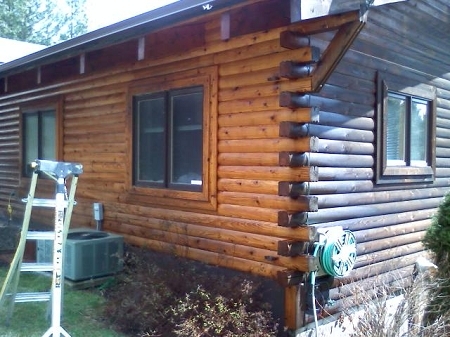 Check all areas of your logs, siding, and trim for proper stain application. A simple test is the water test, simply squirt some water on your logs and if the water penetrates into the logs, apply another coat of stain. If the water beads off the logs, they are properly protected until the next inspection time. Pay close attention to the bottom logs around the home, make sure they have a good coating to resist the extra abuse they receive from rain and roof water runoff backsplash. 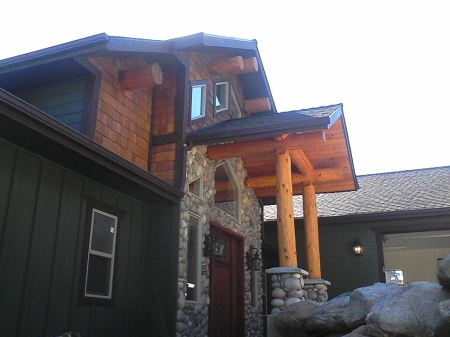 Inspect the chinking and caulking on your log home. Repair all tears, rips, and chink in areas that were missed, there are always new spots to find. 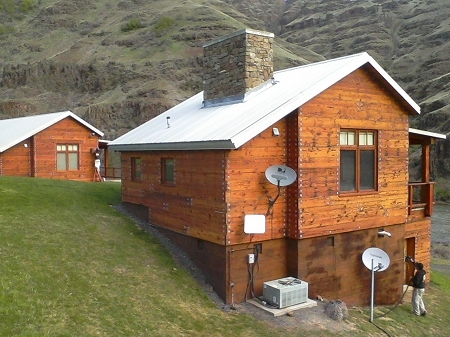 Clear all vegetation away from the logs of the home, cut back trees that overhang or drop leaves and debris on your log home decks or roofing. Clear out all gutters and downspouts, check all snow brake brackets on roof for proper operation. Inspect for insect activity and have your home treated twice a year, whether you see activity or not. Don't treat just the logs, but also the ground for termites, ants, and wood destroying insects. 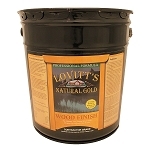 It is worth the cost to deter damage to your precious logs. 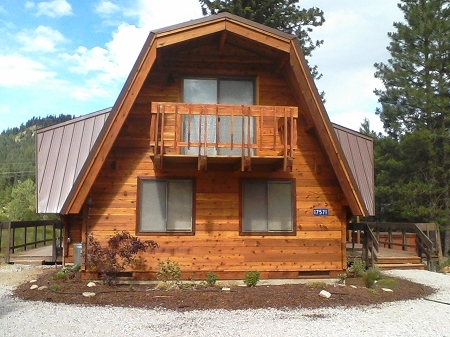 Find a log home maintenance company thick with experts and rely on their advice to help keep your log home in tip top shape. 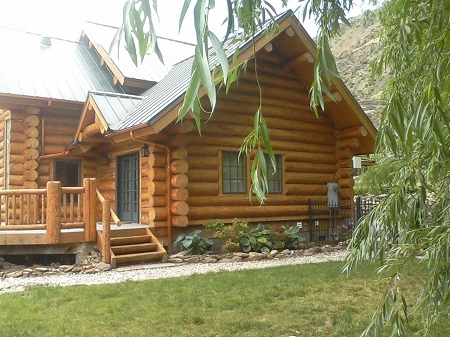 (Product sellers usually don't have all the answers you are looking for, you will have to seek a professional log home restoration and maintenance company* for skilled and competent advice).